Su Shi, Wood and Rock (around 1071-1101) at Christie’s Hong Kong Autumn sale, 26 November, Hong Kong. Estimate HK$400m. One of only two known paintings produced by the Song Dynasty artist and scholar Su Shi, this scroll is the first to ever surface at auction and Christie’s anticipates it will shatter the $64m record for an Asian work of art, which Poly holds for the 2010 sale of a Song hand scroll by Huang Tingjian. The work epitomises “the tranquil and elegant composition that initiated an aesthetic revolution in China and the development of literati painting”, says Jonathan Stone, the auction house’s deputy chairman of Asia and co-chairman of Asian Art. Netsuke of a man and a fox (around 1870). 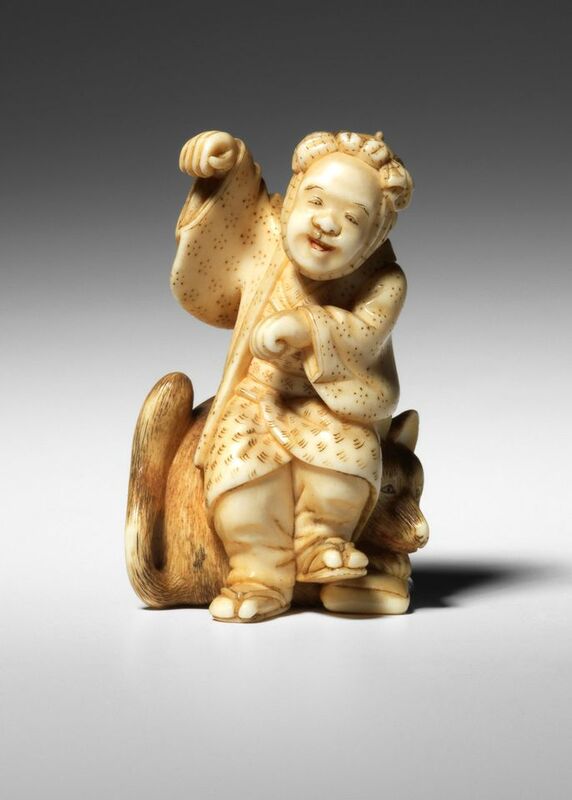 Netsuke from the de Waal Collection at Matthew Barton, London, 21 November. Estimate £600-£800. As chronicled in his book, The Hare with the Amber Eyes, the ceramicist Edmund de Waal’s great-great uncle gave away his collection of netsuke to his cousin Viktor von Ephrussi of Vienna in 1889. Though the Nazis seized the family’s Viennese palace in 1938, these netsuke—small toggles to hold together or suspend items from kimonos—were saved thanks to a savvy maid who was secretly squirreling them away in a mattress. When De Waal’s grandmother Elisabeth returned to Vienna, 264 netsuke were restored to her family and 80 of them, including this man-and-fox number, will be featured in this sale.